I have a situation that began some time in June (I only upload to the site every couple of weeks which is why I do not know an exact date). Until that point I have had success with my current setup, then without any changes from my end, the problem began occurring. I have a Sharepoint list that I upload files to. The files have some custom fields that I set using a flow which triggers "when a file is created (properties only)" and then does an "update file properties" to set the custom fields. The flow fires and succeeds, but the file upload itself actually fails with an error. 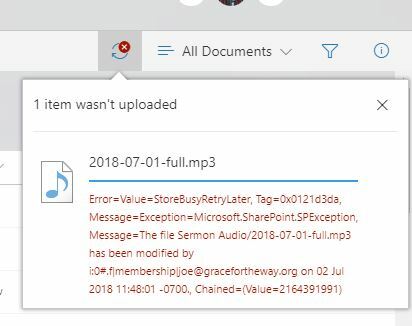 In other words, it is like the flow triggers before the file is actually finalized in the sharepoint list, and perhaps the updating of the file properties locks out Sharpoint from finalizing the upload. There is personal information (email address) in your screenshot, hide the personal information if you mind it. 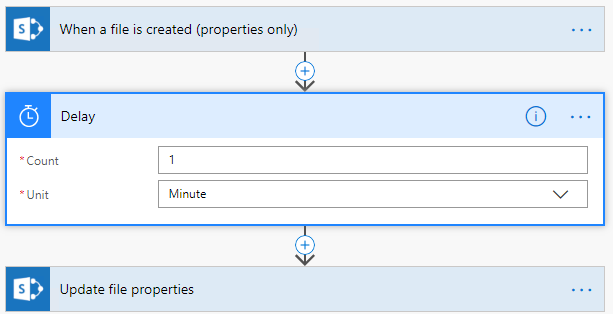 Try to pause the flow for a moment before updating properties using Delay action, compare the results. Not the answer you're looking for? Browse other questions tagged sharepoint-online file-upload flow or ask your own question. Sharepoint - page with “upload file” option?